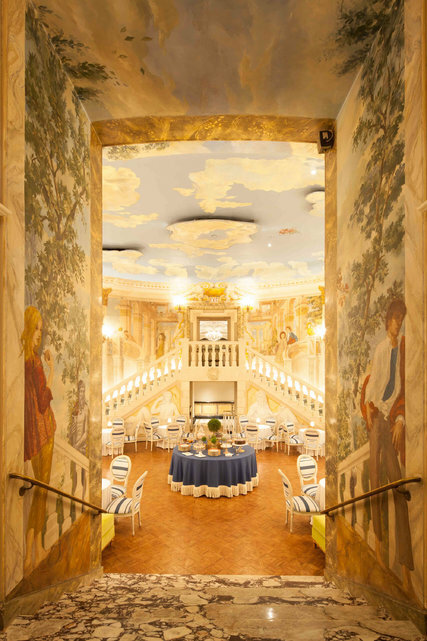 New York’s iconic Pierre Hotel has brilliantly restored the romantic Rotunda Room. The famous painted clouds on the sky-blue ceiling, the shiny faux-marbling, the theatrical lighting, the fantastical wall mural, the parquet floor have all been burnished to a haute level under the direction of the architect and decorator Daniel Romualdez. This is one of New York’s most spectacular gathering spaces beloved by brides and a legendary haunt of the city’s upper crust. “It’s always been the heart of the hotel,” said Francois-Olivier Luiggi, the general manager of the Pierre, which is run by Mumbai-based Taj Hotels Resorts and Palaces. Now you can experience the magic: after 7 p.m., light supper fare is on offer, including appetizers ($18 to $24) and entrees ($20 to $29).